Our half-price underlay offer is now on! Available on fully fitted carpets, contact us now for more information. Supporting your carpet. Maximising comfort. That’s why, at Avonvale Carpets, Bath we always recommend new underlay, and take great care in specifying the right type for your room and carpet. It’s also important to note, that to meet new carpet performance guarantees, carpet manufacturers expect new underlay to be fitted. While underfloor heating certainly benefits greatly from a rubber underlay’s air-filled waffle shape for circulating heat, in most cases we specify eco-friendly polyurethane (PU). We do not offer foam underlays, which are prone to crushing and disintegration. Characterised by greater memory properties, our PU underlay will maintain its bounce for longer, giving your carpet the support it needs while maximising your comfort. A higher tog rating also means it’s a fantastic insulator. And it’s not only made from recycled material, the underlay itself can be recycled once it’s retired from service. Traditional combination wool/hair felt underlays are also available. 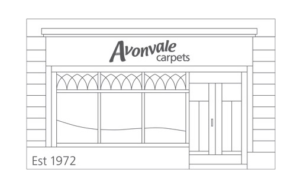 Trust Avonvale to stay at the forefront of underlay technology. Pop into the shop, or call us on 01225 427 057. Very pleasant to deal with.Excellent customer service.Carpet fitted in our absence with no problems.Job well done.